Dimash Kudaibergen to represent Kazakhstan at Eurovision? Ever since Kazakh broadcaster Khabar TV joined the EBU as an associate member earlier this year, speculation has been rife that Kazakhstan may debut at Eurovision 2017. Now, Kazakh media has even put forth a name, reporting that singer Dimash Kudaibergen is preparing a song to represent Kazakhstan next year. Kazakhstan hasn’t even been confirmed for Eurovision, but the Kazakh glitterati is already feeling him. Several local celebs have said that he would be the ideal candidate and that they even see him winning the contest. Such faith! If Dimash Kudaibergen sings for Kazakhstan at Eurovision, it won’t be his first international competition. Last summer he won the Slavianski Bazaar in Vitebsk, Belarus, making him the first Kazakh to do so. And no wonder: He has a big set of lungs and sings with major soul. His win at Slavianski puts him in good company with a number of Eurovision alums. Ruslana, Zeljko Joskimovic, Alyona Lanskaya and Donny Montell all won the bazaar at some point. Dimash is not the first rumoured artist to represent the Central Asian country. Turkvizyon winner Zhanar Dugalova and A-Studio have emerged as favourites as well. What do you think? Should Kazakhstan, if they will participate, send Dimash Kudaibergen? Let us know in the comments below! Kazakhstan is not Asia country! Kazakhstan is Euroasia country. Welcome Kazakhstan! KAZAKHSTAN Should debut in 2017!!! They really have more rights to join than Australia or USA (who plan join starts with Justin Timberlake…) I’m Lithuanian, and I want That KAZAKHSTAN join in Eurovision family!!! Also want That Monaco and Turkey come back! zhanar dugalova please, thank you. Noo. Either Zhanar Dugalova or Dilnaz Akhmadieva please. @PP: Since the last month Khabar Agency is now EBU associated member!! Now they just need become Council of Europe member for ensure the full membership or that EBU invite them just like they do with Australia to participate in Eurovsion as well 😉 It’s not that impossible not see them participating in the near future. I think most people are ignoring the wider problem which is that there already too many countries in the contest. Twenty five or even 20 is too many for a single programme where the public are supposed to make a watch them all and make a rational decision regardless of the running order. EBU is trying so hard to ruin Eurovision. First they break rule with Australia, than try another with Kayakshstan. Khabar TV is not active members of EBU, they are Associate members like SBS from Australia. 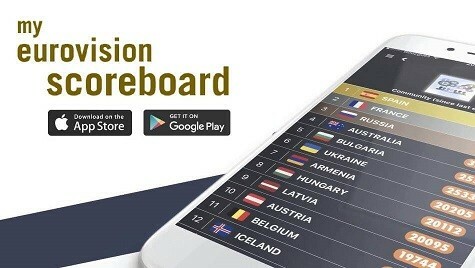 We don t want to see every year 12,10 , 8 points go to 3 countries, Turkey, Azerbaijan or Russia. Fair about football that was still a recent change that is still kind of a stretch…. +Mei International But you also have to consider some other factors. For example,in football, Kazakhstan is part of Europe while Uzbekistan and Kyrgyzstan are not. Also, if Europe let Australia take part, why not Kazakhstan also? After all, Australia is from the other side of the world while Kazakhstan is quite close to Europe. As long as they have great singers in the contest, then they are good to go. Then again, Israel have joined Eurovision numerous decades ago. I’m not totally against the idea of Kazakhstan and they have as much a claim to join as several countries (and definitely more so than Australia). My only problem is that with every country joining more and more are going to miss out on the final. If they do join and depending on withdrawls and returns the number in the final should increase to 28 maybe. It’s already bad how many countries miss out on the final. Either Dimash or Zhanar (or all of KeshYou). Maybe a duo? Okay, so an associate member of the EBU that has territory in Europe, but is a developing nation is not allowed to take part. But an associate member of the EBU with no territory in Europe yet is a developed country can take part? Sounds fair. Also, don’t know how Kazakhstan joining Eurovision would “destroy” the Euro part of Eurovision. It is a European country. Australia’s the one people should be complaining about. Kazakhstan has an European part just like Turkey, Georgia and Russia, they can participate too. And since they just joined the EBU it is totally acceptable. He’s miming. The volume doesn’t change when the mic is further from his mouth. And every so often his mouth position is early and the sound comes a little bit after. At one point his sh came a split second after his face had done it. Just remembered I was watching Moscow 2009 recently and Dima mimed during his opener. I thought the video and audio didn’t match, but everything else was in synch. It was hilarious how out of synch he was. We know he can sing by the fact he won, so why do it? If true, welcome Kazakhstan 🙂 The more, the merrier, if you ask me. his performance is the best imo in last year’s abu tv song festival too. he will be s great choice! Oh no, another 100% qualifier for the final bulldozing the small countries of old Europe…..
And suddenly Eurovision would have 46 participating countries in 2017 (incl. Portugal, Turkey…), which is the maximum. How would Slovakia, Luxembourg, Andorra or Monaco be able to return then if they wanted? Relegate Australia? They would be like the new Turkey in the competition if they take part next year! I loved Turkey in the Eurovision (except 2011+2012) because they added their own culture and didn’t just release a plain pop song. Like who can forget dum tek tek!!!! I hope Kazakhstan can compete next year. Means we might see turkey back too. I cannot think of who should represent Kazakhstan cos I don’t want them on Eurovision. Don’t want Australia too… They didn’t win they were not supposed to come back and take a spot in the final from a European country in a European music commotion…. Not being prejudice but I would watch AsiaVision if it ever got to ESC level but we already have too many European countries not being too into Eurovison, don’t want to spoil their “enthusiasm” even more. I love Kazakhstan! Dimash & Zhanar would be great choices!